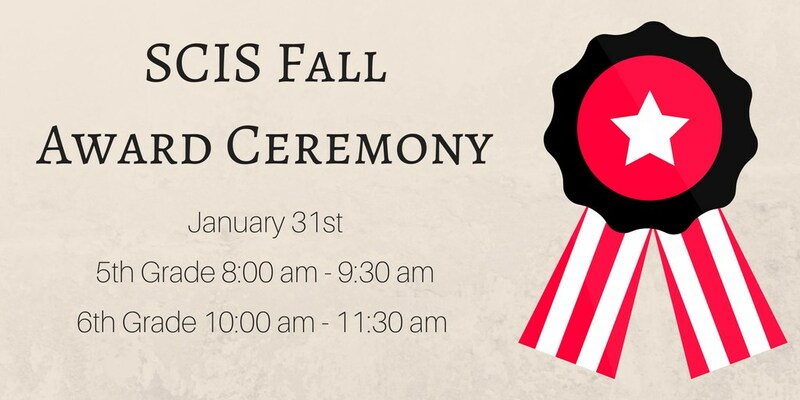 We will be holding our Fall Awards Ceremony on January 31st. Fifth-grade awards will be from 8:00-9: 30 am. Sixth-grade awards will be from 10:00-11: 30 am.